The following resources are subscription databases available to Clark/Williams students, faculty, and staff and in the Clark and Williams College libraries. Current and historical archive from the Associated Press. Includes over 1 million primary source photos, 24,000 maps, logos, and graphics, and more than 4,500 hours of audio files dating from the 1920's. For charts, graphs or drawings select the option "Graphics". Special search options include: Concept, Color, Category, Photo type. See the API User Guide for more information. To find images, limit search by "Document Type": Photo standalone, Comic, Display Ad, Editorial Cartoon. Definitive newspaper of record for the latter part of the 19th century and early 20th. Had broad national distribution with circulation peaking at 300,000 and an effective readership of at least half a million people. Includes illustrations. In the Full Article Text searches, limit search by "Features": Advertisement, Cartoon, Illustration, Map, Panoramic View, or Portraits. Browse topics by choosing Finding Aids; topics can be limited by advertisements and illustrations. The Illustrated London News, launched by Herbert Ingram in 1842, was the world's first illustrated newspaper and is an unparalleled visual document of the past century and a half. As well as being an excellent resource for images of events and personalities, the collection also has a rich trove of illustrations by some of the great artists of the period. Scanned version of the London Times. Contains full content of the newspaper including advertisements, editorials, reviews, stock exchange tables, and weather reports. Does not include the Sunday papers. Limit your search to "Articles With Illustrations" or select "Picture Gallery" for photographs only. Multi-disciplinary index to scholarly academic and general interest periodicals. Limit your search to "Documents with Images" . Index to articles in popular, general interest magazines published in the United States and Canada. This index does not include images but you can use the "Physical Description" field to retrieve articles including illustrations, portraits, charts, maps, etc. Use the Find Text button to locate article in the library. Tsering, Topgyal. 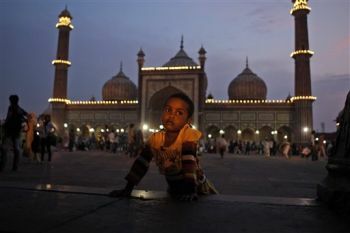 "India Ramadan." Associated Press, 8 Aug. 2013. AP Images. EBSCO. Web. 8 August, 2013. Homer, Winslow. Seesaw - Gloucester, Massachusetts. Harper's Weekly, September 12, 1874: 757. 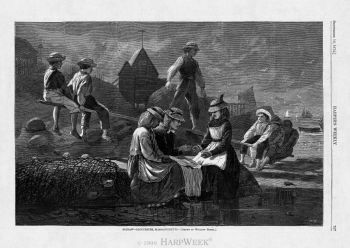 HarpWeek: Electronic Access to Harper's Weekly: 1857-1912. Web. 8 August, 2013.